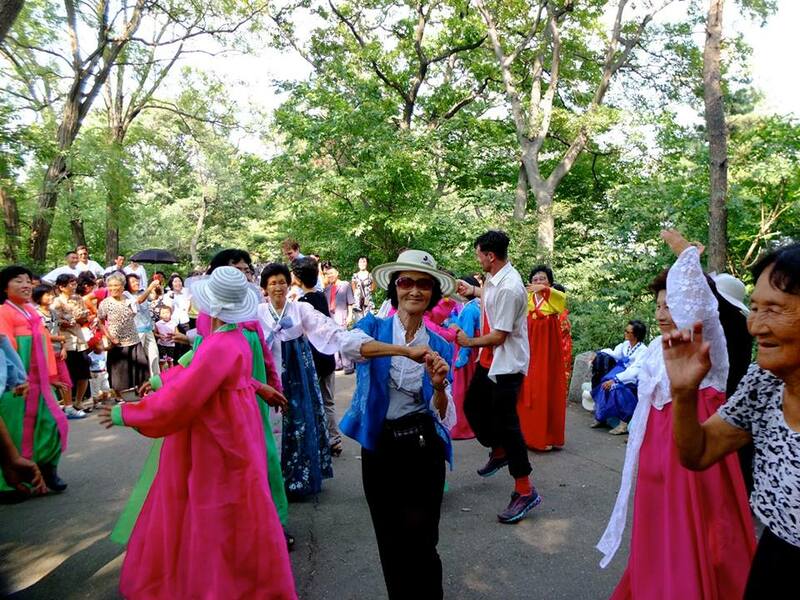 Join YPT for what we believe to be the cheapest ever travel package to take people into the DPRK to join in on the Liberation Day celebrations, with mass dancing with the university students of Pyongyang, watching the fireworks and participating in any other surprises that may occur during the tour! 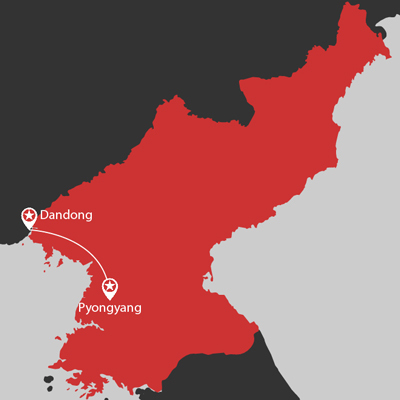 By making use of travelling from Dandong (which is easily reachable from most of China), and the more than comfortable Chongnyon Hotel in Pyongyang, we are able to offer a great price that has you in the country for 2 nights, 3 days, which is inclusive of one full day seeing all the main sites of Pyongyang, going out both nights of the trip, as well as most importantly seeing all the Liberation Day celebrations that will be taking place around Pyongyang. This trip is perfect for those people already in China, or those simply travelling through that do not have the time or budget to do a full trip. Please note: All travellers must have a re-entry visa into China as there isn’t enough time to apply for a Chinese visa in Pyongyang and the 144 hour transfer visa doesn’t permit rail use. Meet your YPT guide at 8:00am inside the entrance of the Dandong Railway Station to collect train ticket, DPRK visa and go through DPRK procedure. Board the 10:00am train from Dandong. 10:25am arrival in Sinuiju to go through DPRK entry procedure. Ride on into Pyongyang and enjoy the beautiful countryside along the way. 6:45pm arrival in Pyongyang to be met by your local Korean guides. Driving city tour of Pyongyang, including us stopping at Kim Il Sung Square for a walk and pictures. Dinner at a local Korean restaurant on Ryomyong Street. Check in and overnight at Chongnyon hotel. Thursday 15th August – Liberation Day! Walk through Mansudae Fountain Park and see the mosaic pictures of President Kim Il Sung and the leader Kim Jong Il. Grand People’s Study House – library and academic centre for adult learners. This grand building is built in the Korean style and affords a great view over the central square. 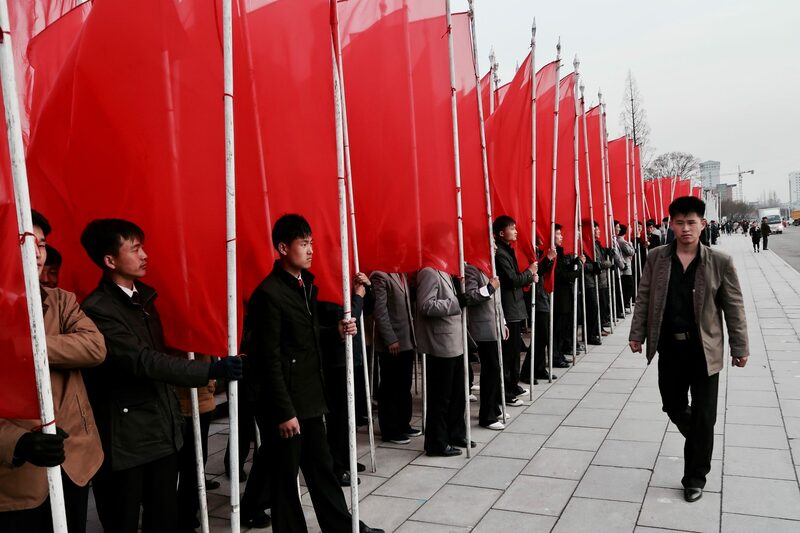 Kim Il Sung Square – the central square of Pyongyang City. The Arch of Triumph- The largest Victory Arch on the planet- it celebrates the victory over the Japanese and the return of the general Kim Il Sung to his home city. Visit the recently renovated Korean War Museum – let the expert local guide show you around the enormous museum featuring dioramas, locally used weapons, tanks etc, and captured American equipment! USS Pueblo – The only US Naval Ship still held captive by another nation. Special celebratory events (optional: approx 20 euros) – Yet to be confirmed but we will take part in any birthday events that are possible for tourists to attend. These may include a parade, a circus performance, and possibly some other surprises. 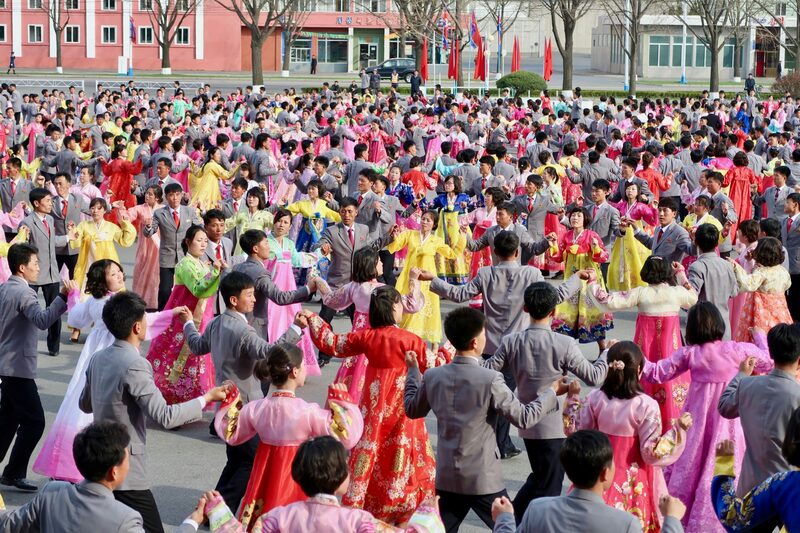 Spectate and/or join in on the Pyongyang university students performing a mass dance near an iconic DPRK monument – fantastic for rare photo opportunities! Juche Tower- The tallest stone tower in the world it represents the eternally burning Korean Juche Ideology. Dinner at National restaurant with performance! 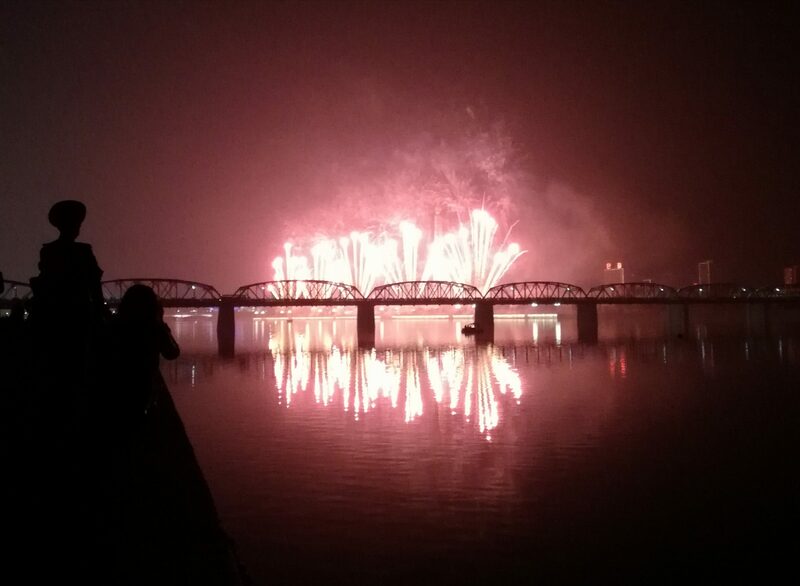 To be confirmed: we’ll join the locals on Kim Il Sung Square and watch the fireworks light up over the Taedong River. Tour concludes – if you need to make any accommodation or a way out of Dandong please let us know! 5 Reasons Why You Should Take An Ultra Budget Tour. Special Liberation Day events: these may include fireworks, mass dances or special performances. 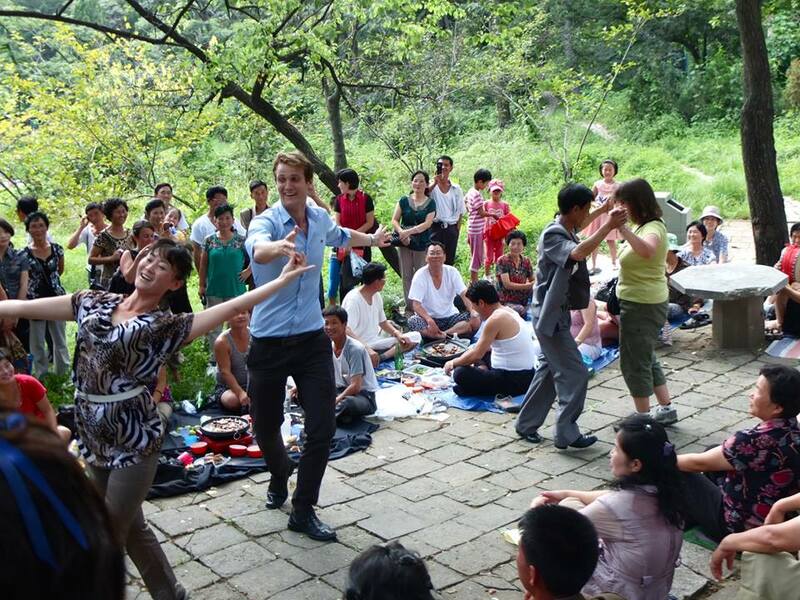 Plus all the must-see Pyongyang sites including museums, massive monuments and local life. 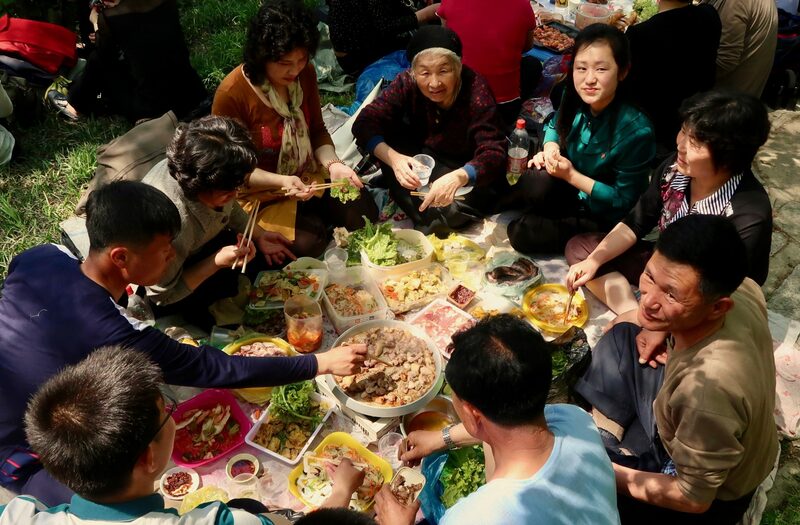 Perfect taste of Pyongyang for ex-pats or those already traveling through China. • Twin share accommodation (single supplements available for an extra 40 EUR per night). • Train in and out Dandong-Pyongyang-Dandong. • All meals in the DPRK unless otherwise stated. • Korean and western guides. • All entrances (unless otherwise stated). • Extra drinks and souvenirs. • Tips for Korean guides and the driver. • Additional events not listed in the itinerary.